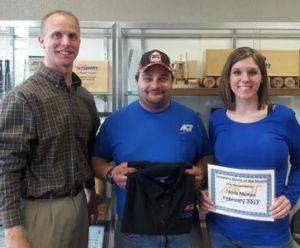 For February 2017 – The Company Driver of the Month is Jacob Melton. Jacob wanted to be a truck driver so he could experience new things and see the country. He says “make sure you always obey the laws and be mindful and aware of your surroundings”. Jessica, his DSM says that Jacob is always positive and does a great job. He is very reliable and an asset to ACT.